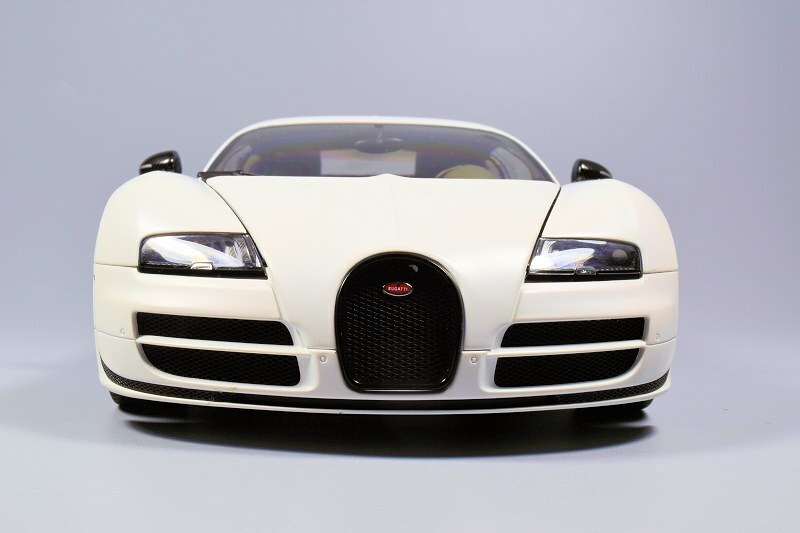 The Bugatti Veyron needs no introduction; the lines of this supercar define themselves. 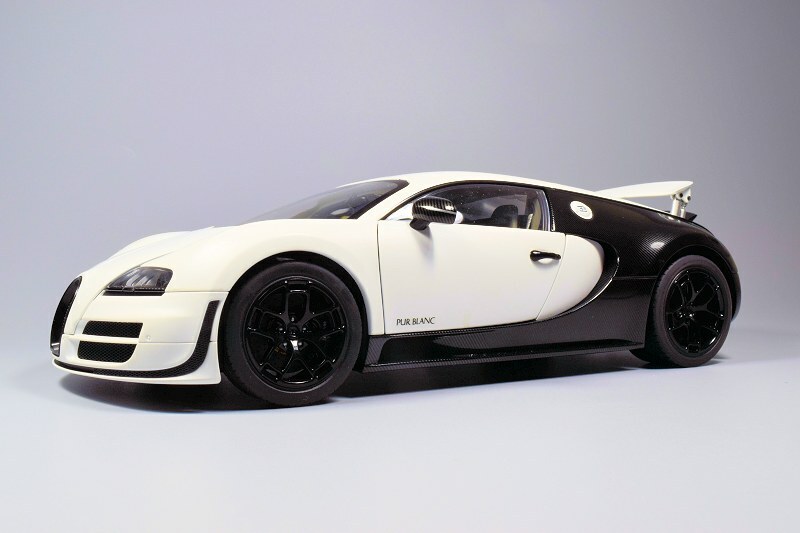 The latest variant released in scale, and one highly anticipated by collectors, is the 1:18 AUTOart Super Sport Pur Blanc Edition. This model just recently hit store shelves; we have one ready for review today. 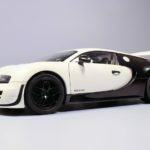 I’m not going to go into so much detail, as we have a few other reviews on the Bugatti Veyron (the Sang Noir and Super Sport WRC) that will define her in spades. 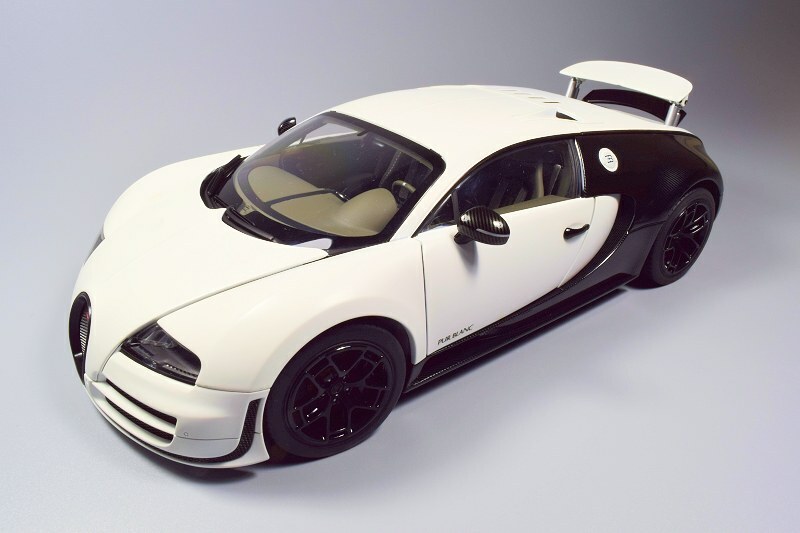 The exterior of the Pur Blanc is basically the same as previous Veyrons. The elements of change include paint, wheels, and interior trim. 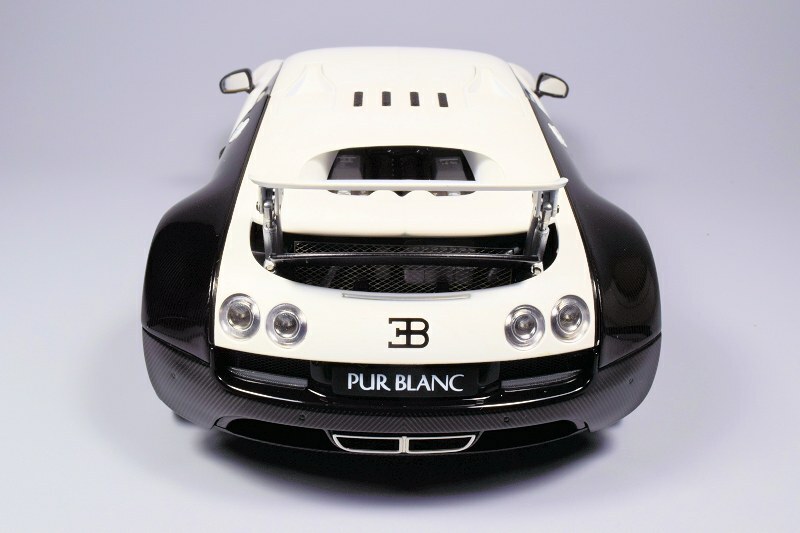 The Pur Blanc features a very striking paint theme, one I really like. 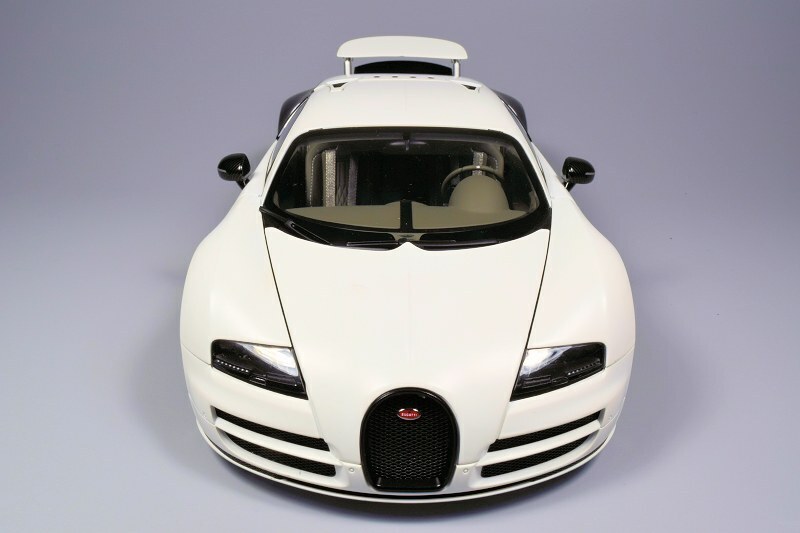 I would place it in the top two of Veyrons, second only to the Sang Noir in my opinion. 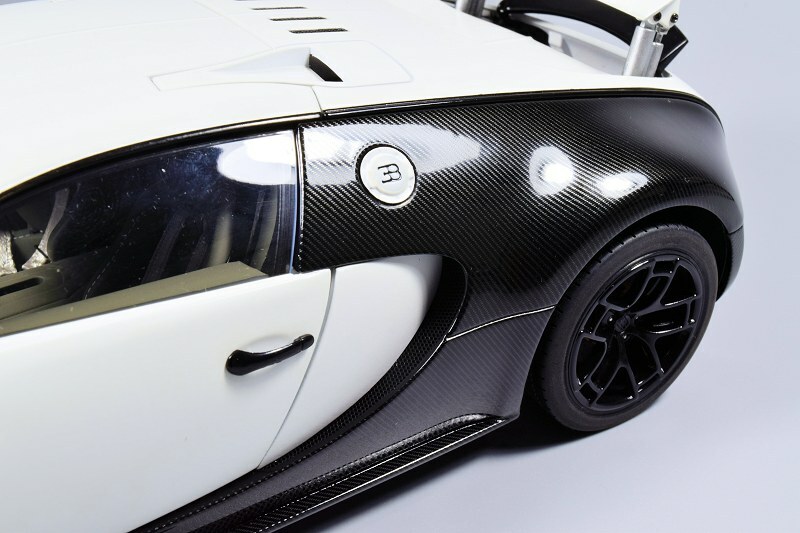 The Matt White matched with Gloss carbon fibre is a truly delicious combination. 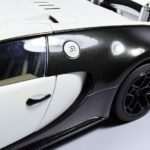 Paint is completed with care throughout, as is the carbon fibre workings. I found no issues with my sample. 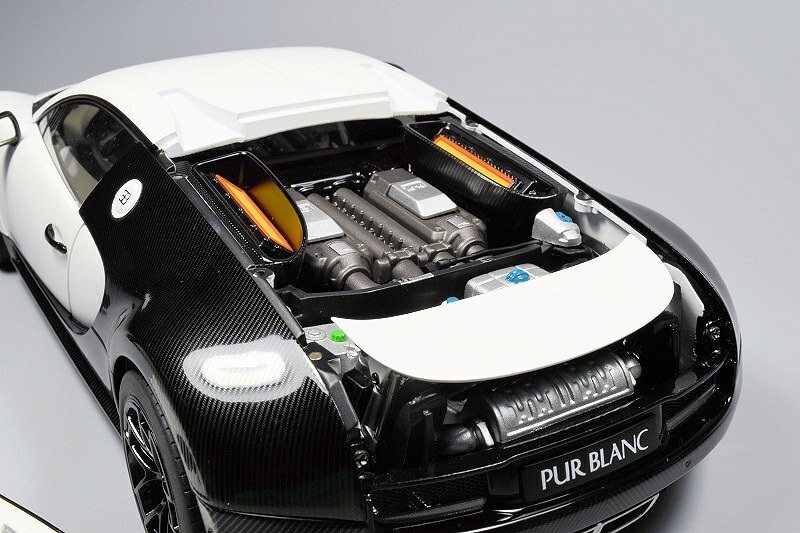 The front and rear of the Pur Blanc Edition are completed with care. 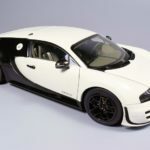 Top notch finishes and materials definitely set this model apart from the average piece, and it shows… Storage compartment is fully carpeted with two struts on each side supporting the hood. Rear spoiler operation is flawless. 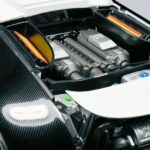 Still to this day and so many Bugattis later I marvel at AUTOart’s engineering. The heart of the beast has a fully removal hatch. Installation and removal are easy as pie. One issue, I did not like the gaps around the hatch with the rear spoiler in the closed position. 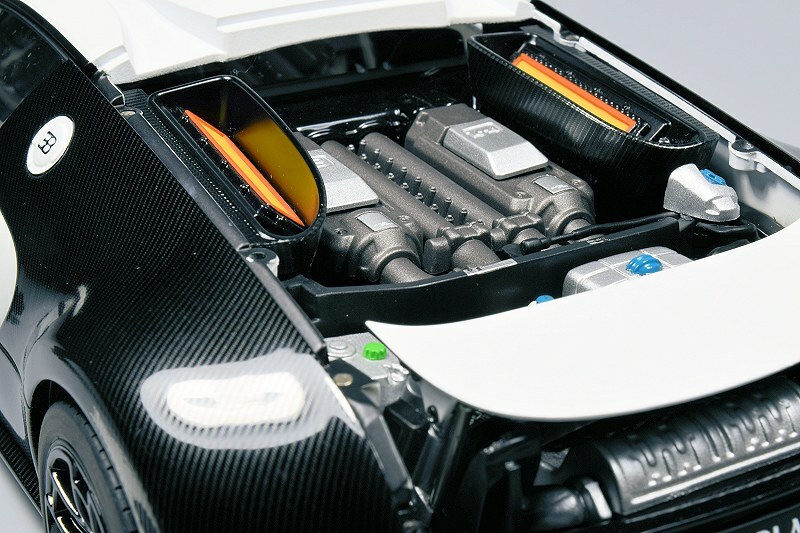 Motor detail is very nice and shows depth, the exposed air filters each side are so cool! The entire package is a treat for the senses. 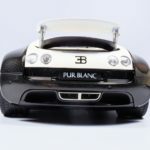 The wheels on the Pur Blanc are finished in a Gloss Black. Execution here is typical AUTOart, near perfect. Some say the overall diameter is too small, they might be right. But the difference is marginal at best. 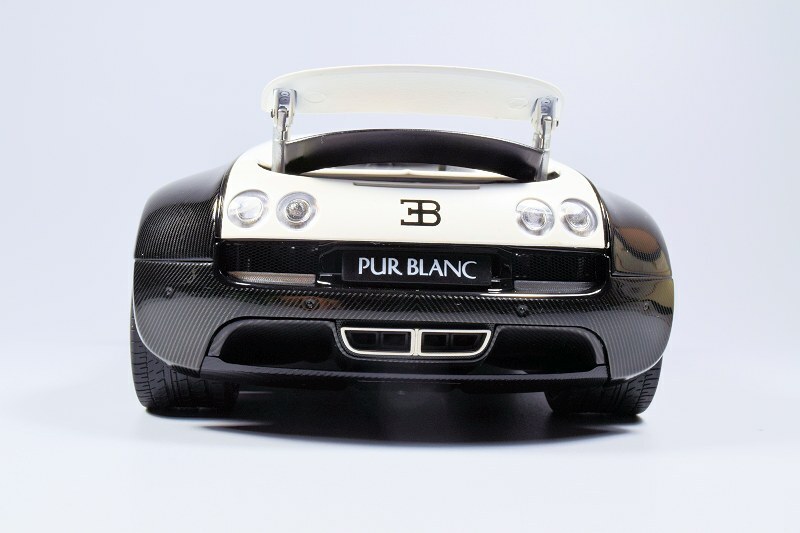 The interior of the Pur Blanc is something special, a perfect example of less is more. 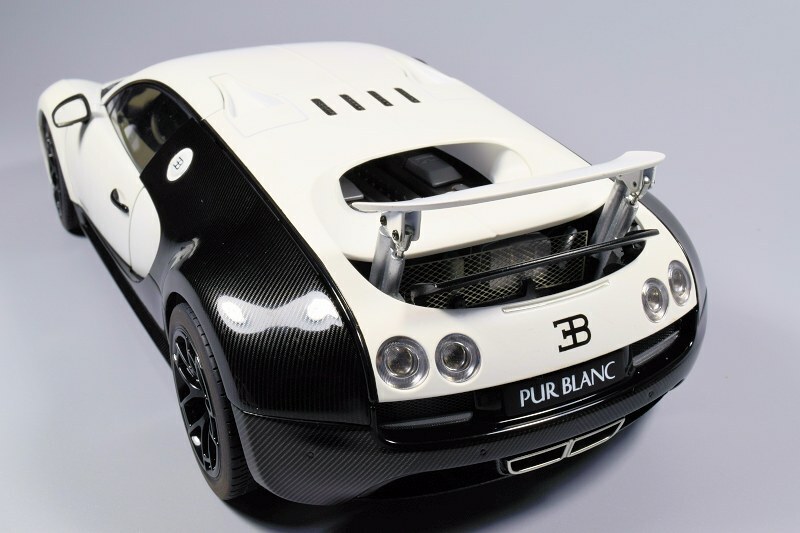 The Grayish/Green with carbon fibre accents is stunning on so many levels. I’ll let the images speak for themselves. 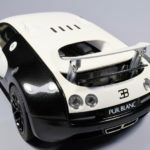 The addition of fabric seat-belts, ‘ Pur Blanc’ logos, carpet and so much more add to the level of realism to the overall model. This might be one of my favourite interiors in scale to date. 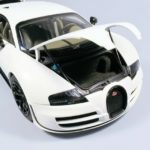 Well done AUTOart! 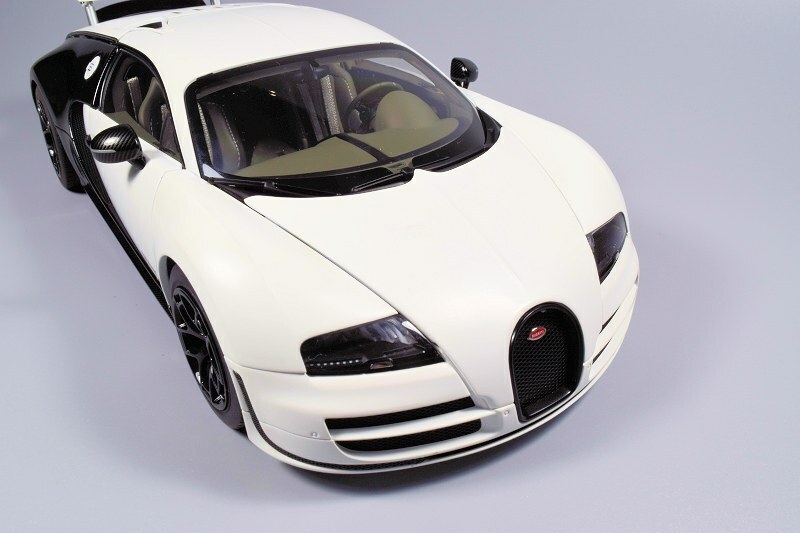 This is my 7th Bugatti Veyron, a welcomed addition to my personal collection. The model excels on so many levels, the quality of materials, and fit and finish are just fantastic. 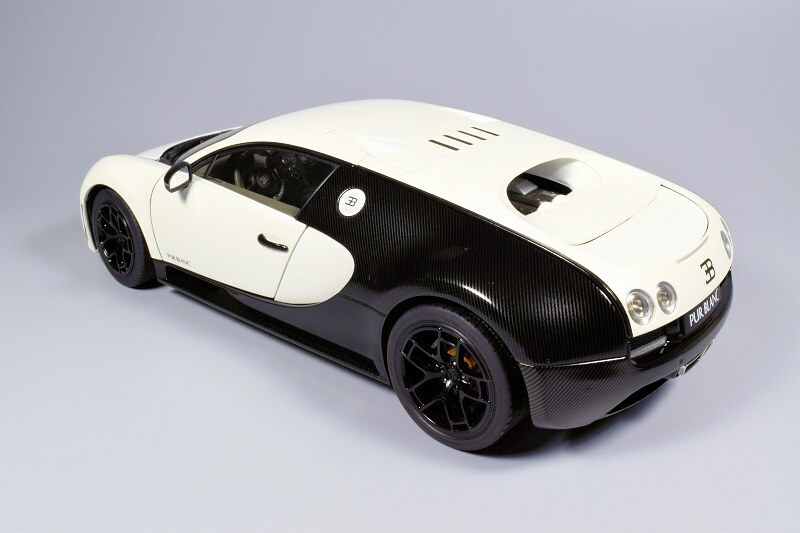 If you are looking for a first Veyron to add, this one would be a perfect example. On the flip side I need to question price. 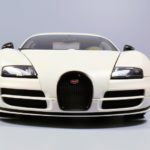 I bought my first Bugatti back in 2008 for $140CND (M# 70908). This piece with tax would cost you north of $400CND today. That is a huge increase, especially since this mould has been recycled so many times with numerous variants from their catalogue. Nonetheless, the model here is brilliant. Enjoy the pics! 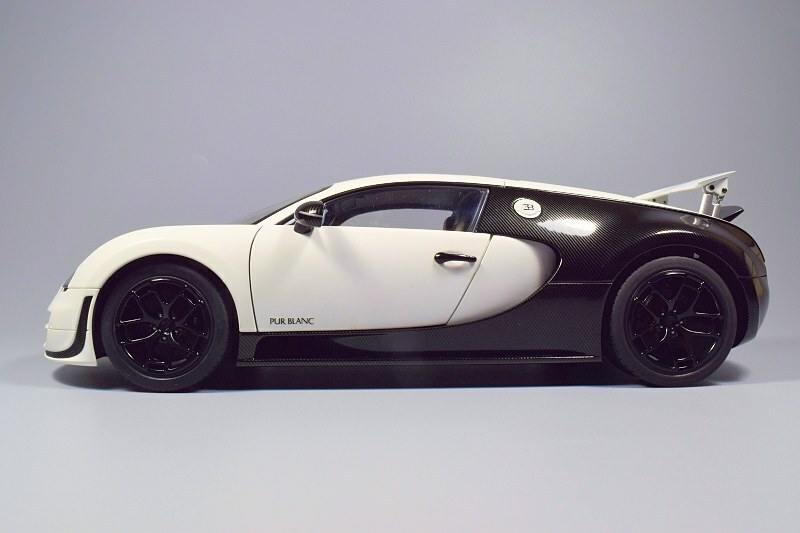 6 Responses to "REVIEW: AUTOart Bugatti Super Sport Pur Blanc Edition"
I’d sell the Minichamps, with those funds buy the Pur Blanc. 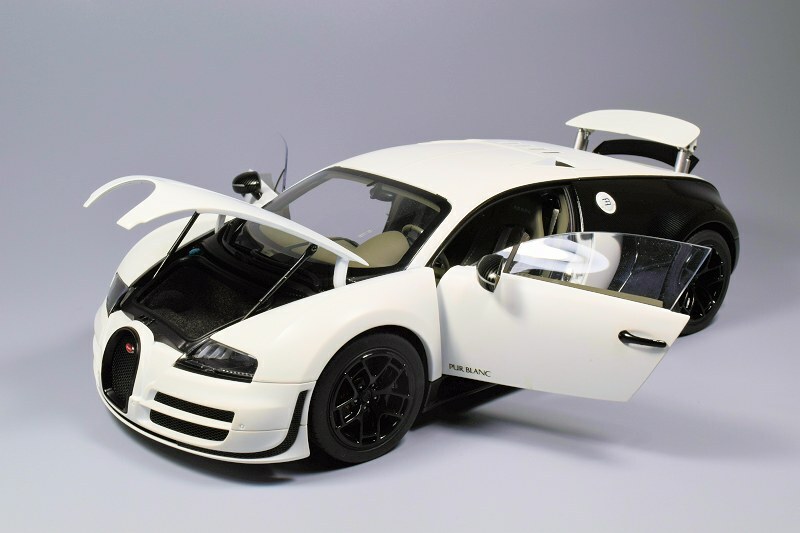 Minichamps cannot hold a candle to AUTOart’s replicas here. 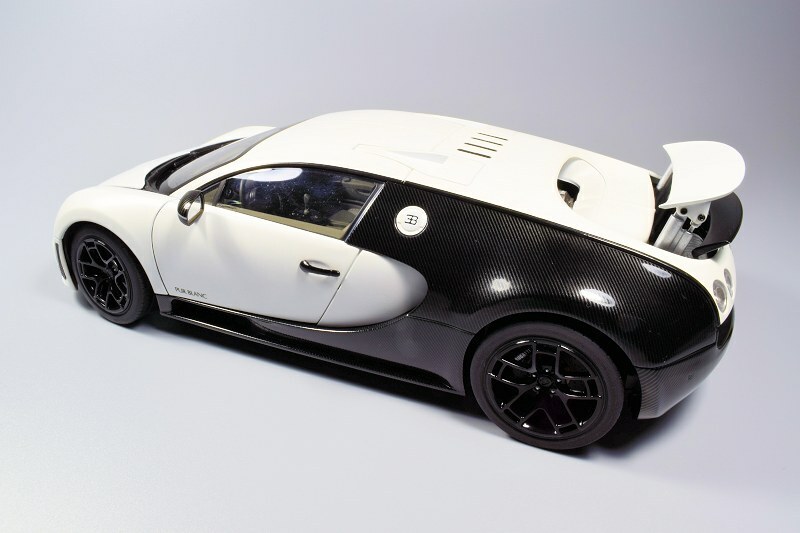 Yes, the AUTOart Veryon is superior to the MINICHAMPS. I also know that the AA 190 SL is superior to the MINICHAMPS’ version. Though that’s set to change. 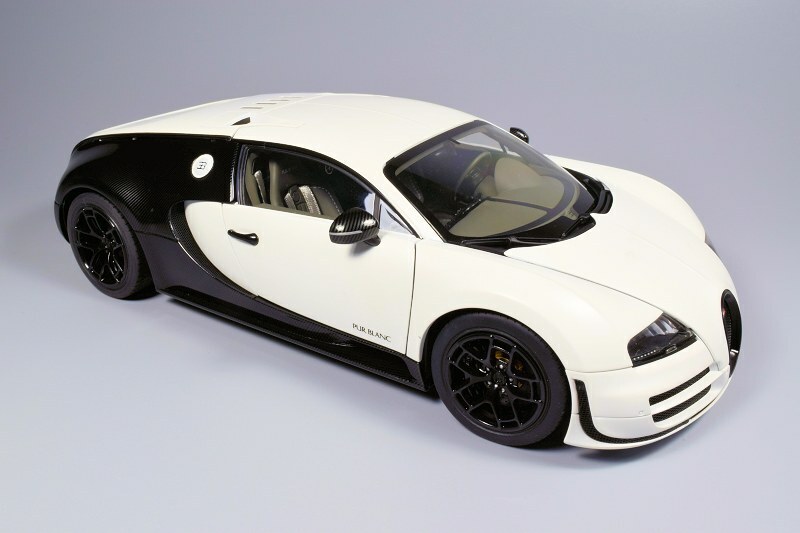 This was going to be my first Veyron but at that price, screw you AUTOart. Good review! I think that this model is perfect, but the price is horrible. When is aviable this model in Europe. please? Europe should be available late August, early September.